Translations and certification from French to Serbian and from Serbian to French. Translations by our sworn translators certified for French are legally valid documents fully true to the original text. This is attested by the sworn translator's certification. We translate and certify all types of documents and texts for both individuals and companies, from Serbian into French and from French into Serbian. Our company employs a number of certified translators, including translators certified for French. We have all the resources needed to guarantee our ability to meet your requirements in terms of expertise, volume and deadlines at any time. We guarantee quality, competence and precision in each translation done with or without certification, with favorable payment terms and full assurance of your privacy and data confidentiality. Quality translations from and into French are made available to you by our certified translators and delivered efficiently to your home. We also provide quality control and guarantee a free-of-charge document delivery, a free quote and two copies of each translated document, translation in electronic form as well as higly competitive rates. A long list of our satisfied clients that keeps growing daily is the ultimate recognition of the quality of our work and the best recommendation. We are members of the Serbian Association of Scientific and Technical Translators, whose guidelines we follow in our work. French language and culture comprehension is an important factor in the translation process. All of our translation projects include proofreading. We provide top quality translation, fast and competent service and free delivery on the entire territory of Belgrade. Translations for clients outside Belgrade are delivered by postal service. French is one of the Romance languages, primarily used in France and its territories but also in the former French and Belgian colonies. This language is also used in Belgium – alongside Flemish and German, in Luxemburg – alongside Luxembourgish and German, in Monaco and Switzerland – alongside German, Italian and Romancsh, and in Canada - in the province of Quebec. 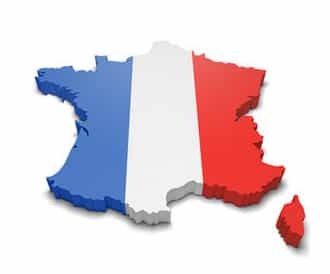 There are around 78 million people in the world who use French as their first language and approximately 50 million who use it as their second language. The French language ranks tenth worldwide by the number of speakers. Although it ranks third when it comes to Roman languages – just behind Spanish and Portuguese – French is still geopolitically one of the most important Romance languages.